Each year the Department of Anthropology presents the Kassen Lecture. Generously supported by an annuity from the late Drs. Aileen and Julian Kassen, the lectureship invites a top female scholar in the social sciences to the department to present a lecture to the department and to the campus community. In addition to the lecture, anthropology graduate students have the opportunity to meet with the Kassen Lecturer in a small group discussion. Professor Greenhalgh’s work seeks to understand the emergence of new forms of scientific governance in the context of rapid shifts in global and local political economies. Inspired by Foucault’s bold proposition on biopower – that the body is the central domain of politics and power in the modern era — her work illuminates hidden fields of vital politics and suggests that an in-depth understanding of modern science is essential to unraveling their workings and often unjust effects. Greenhalgh’s current work is on the global obesity epidemic. In Fat-talk Nation: The Human Costs of America’s War on Fat (2015), she draws on the narratives of young Californians to uncover the hidden workings and effects of what began as a public health campaign but soon mushroomed into a society-wide war on fat. 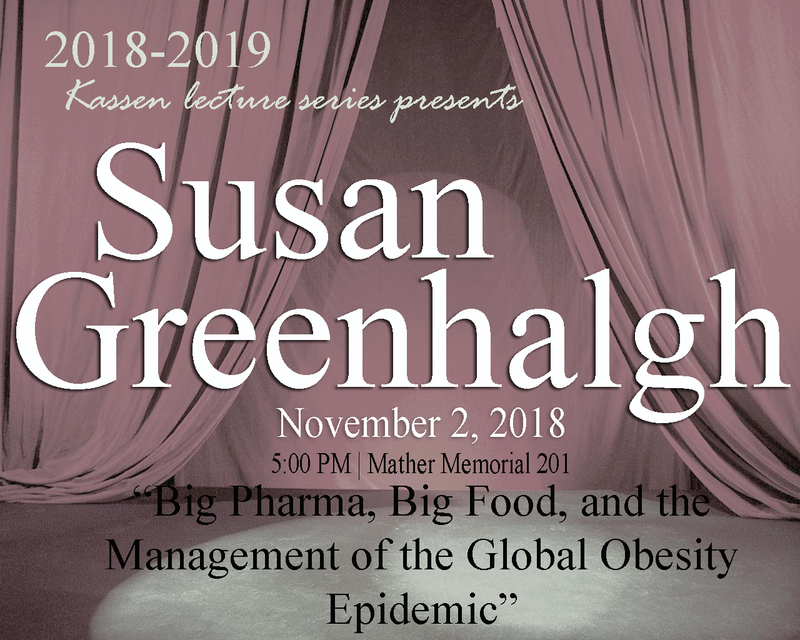 Since 2013 Greenhalgh has turned her attention to global health, asking how the notion that China faces an urgent epidemic of obesity arose and how the epidemic is being managed. Professor of Anthropology at UCLA. Research in cognitive anthropology, medical anthropology, research methods, Mesoamerica and northern North America. Dean of the School of Public Health and Professor of Community Health Sciences and Anthropology at University of Illinois at Chicago. She was formerly in the Department of Anthropology and Associate Dean of Public Health at UCLA.